Over recent weeks we have highlighted the many risks involved (not to mention the fact that it is illegal teeth whitening) by allowing non-qualified, unlicensed and inexperienced people to undertake teeth whitening procedures. Now these very real dangers have once again been exposed – this time in an article that appeared in the Daily Mirror last week when the paper reported a story about a mother of two from Lancaster who lost two of her teeth after a botched whitening treatment by an unlicensed beautician. Kellie Taylor now has to wear false teeth after her gums were so weakened by the clumsily applied peroxide that her dentist was left with no alternative but to extract the damaged teeth. As the Teeth Whitening Manchester specialists we too could have added many more examples to that report, by explaining just how many times we have been called on to rescue patients who had been seduced by the offer of cheap teeth whitening by unqualified beauty salons. We simply cannot stress enough that teeth whitening treatment can, by law, only be undertaken by registered dentists and other qualified dental professionals. At Carisbrook Dental, as one of the leading Manchester Teeth Whitening experts we offer a fully authorised teeth whitening service that includes an extensive range of approved treatments, all of which can be seen on our Teeth Whitening Manchester page. Every one of these treatments has been assessed and approved by our qualified dentists – and they will only be offered following a thorough dental examination and a discussion with our patient in order to identify the most appropriate treatment to suit their teeth and their lifestyle. After her teeth whitening disaster Kellie Taylor successfully sued the beautician and was awarded £315 in compensation and reimbursement of the original cost of the treatment. Ms Taylor said that while she was pleased that the bungling beautician had been found guilty, the compensation did not cover the pain and suffering she went through, nor did it cover the cost of the subsequent dental repair work required. Once again we would urge that you do not be tempted by cut-price offers and cheap incentives. Teeth whitening by anyone other than a qualified dental professional is not only illegal … as Kellie Taylor can testify …IT IS DANGEROUS! 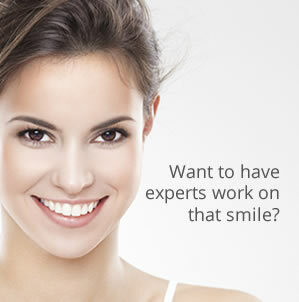 If you wish to discuss teeth whitening treatment with a qualified dental professional please call us now on 0161 951 7295 or send us a message from our Contact page. We guarantee the results will be better, the treatment will be professional … and it will almost certainly work out to be less painful, less stressful and less expensive in the long term.